Yvonne has 30 years NHS experience both in the acute sector and 15 years’ experience in collaborative commissioning. 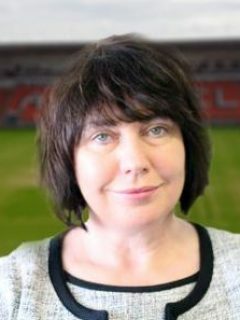 Yvonne is a Board Member of NHS Blackpool CCG and the Director of Ambulance/111 Commissioning for the 31 North West CCGs. Prior to taking on this role Yvonne was the Associate Director for the past 6 years and during the time was the Programme Director for the procurement and mobilisation of the NW NHS 111 Service. In addition to Ambulance Commissioning, Yvonne has extensive experience in collaborative commissioning, including stroke and Cardiac pathways. In recent years Yvonne has also worked on a number of projects with NHS England. She lead the national Directory of Service (DoS) review group, and the Procurement Group responsible for developing the Procurement Guidance for 111, integrated OOH/111 and supporting assurance framework. She joined the NHS Clinical Commissioners Board in July 2016 as the representative for the National Ambulance Network NACN, which she chairs.